Located in the heart of Main Street in North Myrtle Beach, South Carolina, Duck’s Beach Club is long-time favorite and tradition. With all new live entertainment weekly, it is a great place for to meet locals and tourists as well. Duck’s Main Street Bar, Grille & Sidewalk Café has a full bar and menu for both lunch and dinner. Duck’s has long offered the very best in live entertainment and DJ’s. Some of the live entertainment you can see at Duck’s—Johnny Cobb, Donnie Trexler, Nantucket, Paul Craver, Hip Pocket, Danny Woods, Holiday Band, The Magnificents, The Tams, Billy Scott and the Prophets, Tim Clark Band, Legends of the Beach, Spare Change, Rick Strickland, Craig Woolard Band, Carolina Breakers, Mark Roberts Band, The Embers, Swingin’ Medallions, and many more. DJ Paul Craver will be spinning the hits in between sets. 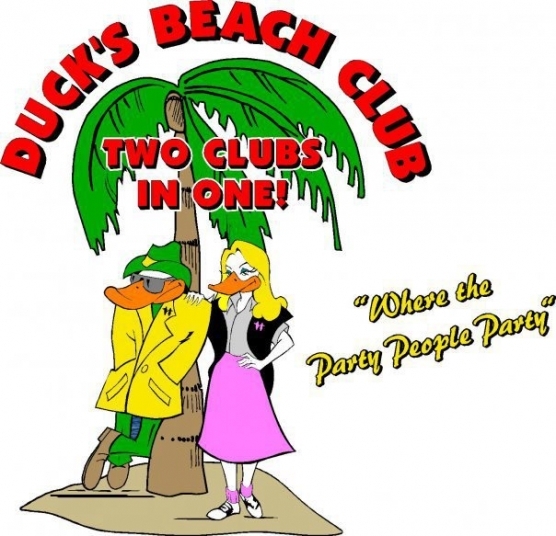 Duck’s slogan is” COME ON DOWN TO DUCK’S, WHERE THE PARTY PEOPLE PARTY!” This certainly fits Duck’s and you can be sure that you will have a great time.